Investors in African Barrick Gold (ABG) must use tomorrow’s AGM to ask questions of the company’s leadership regarding alleged human rights abuses at the North Mara Mine, Tanzania. 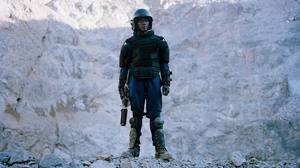 ABG pays the Tanzanian police to protect the mine, despite the force’s international reputation for brutality and corruption. In fourteen separate incidents since December 2008, at least sixteen people have been shot dead by police and eleven injured by police ammunition at the mine. Further reports of deaths so far unconfirmed by ABG include at least four in January 2014 alone. There is also credible evidence of rapes of women by members of the Tanzanian police and employees of the mine’s security unit. ABG states that the shootings occurred when armed and violent villagers entered the mine and that the police responded with reasonable force to defend life and property. “Investors should use ABG’s AGM to question why police are using lethal force to protect the mine’s property, and given the pattern and scale of the problem, to challenge the company’s continued reliance on the Tanzanian police”, said Tricia Feeney, Executive Director of Rights and Accountability in Development. The mine is located in one of the poorest and most remote areas of Tanzania. Before the start of large scale mining, local villagers were able to make a living from the gold they found. Every day, hundreds of men and women continue to go to the mine to collect rocks that they hope contain tiny amounts of gold. Many see prospecting on the mine as their only way to survive. Tanzanian villagers, including the relatives of six men who were killed at the mine, and one man who has been left paraplegic are currently suing ABG in the High Court in England, in the hope of receiving just compensation.